I am a single mom who has gone through my share of struggles. I have gone from just getting by, to living a life that is better than I'd ever dreamed possible. Now I want to tell everyone how they can do this too! How would you change your life if you could change anything? Just over a year ago I started making serious changes that have brought me further than I ever imagined I could go in such a short time. 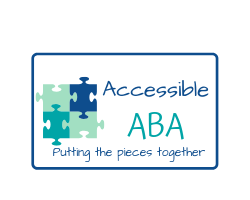 I am learning a lot about children with autism as I work with my sister on our website Accessible ABA. And now I am part of a collaborative team of people who have come together with a shared mission – to help everyone live their best life. Each of us have gone through our own struggles, faced challenges that we weren’t sure we would overcome, and yet continue to work to make our lives better than we ever imagined! We call ourselves the Best Life Collaborative. Our plans are still being developed but our group continues to expand as word gets out. I hope you will join us, whether as a follower or a contributor. Together lets live our best life!